Self-drive car hire rentals Uganda are interesting, however, it is a bit more challenging than other in other East African countries. The best option however is to hire a car and a driver. Don’t not also just hire a car in Uganda, but a well-maintained vehicle and a safe driver that follows the rules. We have two types of drivers so the choice is yours. We have ordinary drivers and driver guides. 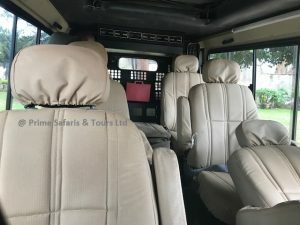 An ordinary driver will just have the right to drive you and not to know the destination where you are going while our driver guides know have been to almost every corner of East Africa and know the twists and turns of every Uganda safari destination, and feel a concern for the comfort of our client. Driver guides go ahead to give lots of information about places than ordinary drivers. Rent a car in Uganda and a driver guide then have him take you to any destination as planned. If you opt for a self-drive car rental Uganda, you self-drive, using all the road maps, and drive to your chosen destination but how will you be when you get there? You need to move with someone who knows places so as to enjoy your trip. Supposing the car breaks down in the middle of the journey, are you going to drop it on the roadside and find another one? 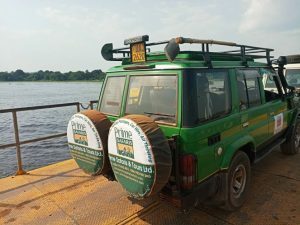 Simply hire a vehicle and a driver and enjoy your Uganda safari tour. But if you hire a 4×4 car in Uganda, well serviced and in a good mechanical condition, you probably won’t have any breakdown problems. Fuel is available all around the country since petrol stations are well distributed. Ugandan drivers are very aggressive especially in Kampala especially during traffic Jam, but you pretty much won’t see any traffic outside of the city. In towns especially Kampala, your vehicle is just centimeters away from other vehicles, traffic laws exist but are ignored by Ugandan drivers. People pass on any side of you especially taxis and boda-bodas (motorbikes). If you are a visitor, you may not be able or equipped to handle a vehicle in the Ugandan traffic where the biggest vehicle wins. 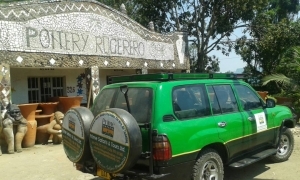 For visitors, self-drive safaris in Uganda are good if you know the character of Ugandans and the roads as well.